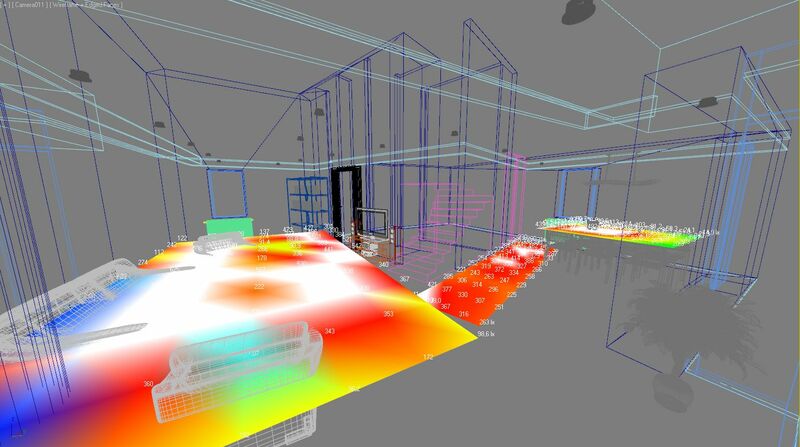 One question quite often raised up among lighting designers: "What is the best lighting design software". My answer: depends what you have to do. One thing is sure if the project requires high quality renderings with lighting calculations than the best software you can use is Autodesk 3DS Max Design. 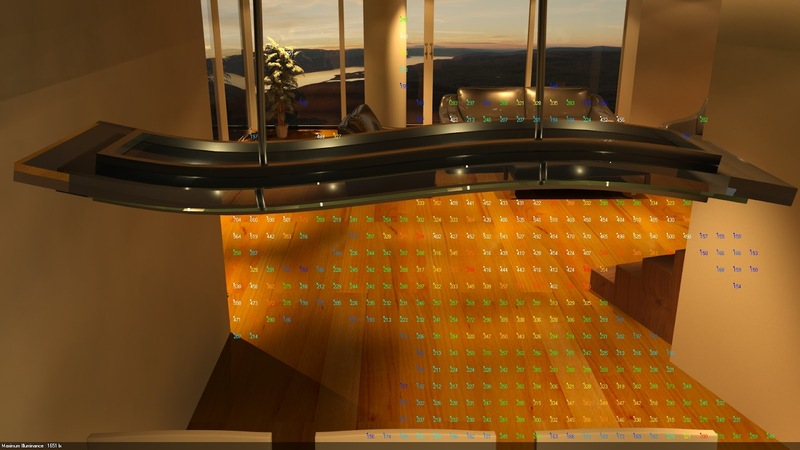 For those who are familiar with the old Autodesk 'lighting design' software such as the Lightscape and VIZ, well these had been merged into the 3DS Max Design. The other common question what I hear in regard of visualization programs: Why 3DS MAX, why not Blender, Vray and mental ray. So first lets make clean the baby. 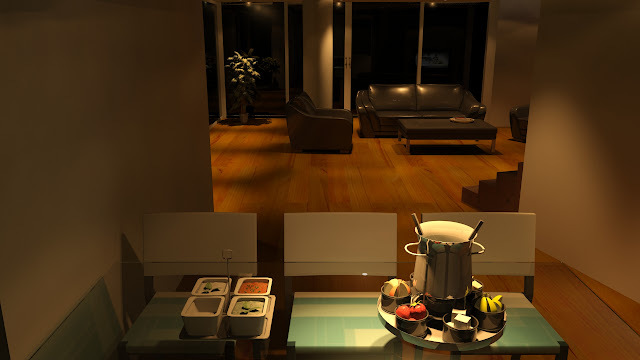 3DS MAX, Blender, Maya, SketchUp are visualization software. Vray, mental ray, Maxwell, Brazil are rendering engines. 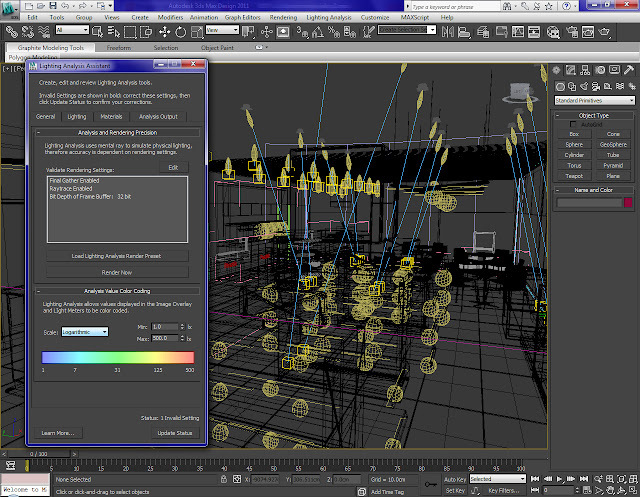 These can be standalone software but mostly these are used by the visualization programs like a 'plugin'. All the mentioned programs and engines are great but only 3DS MAX (with mental ray engine) is capable to do photometricly correct calculations. To avoid the surprises it is important to mention that the basic 3D Studio Max is not capable of lighting analysis, just only the Design version of it is able to do so. When it comes to lighting analysis, the results are just estimates on how much lighting a space is receiving. There are too many physical factors to be accurate. Materials have to act exactly as they do in reality to bounce light properly. This includes physical characteristics as index of refraction/reflection, caustics etc. Max does a pretty darn good job at simulating these though, so good infact that it is recognized by LEED as program for obtaining lighting analysis credits. With that said, here is a quick look at how we set a scene up. Firstly, be sure the space you are modeling, is as accurate as possible. The windows need to be the right size, and there cannot be any openings in the space other than the windows. Secondly be sure that the materials you are using are either all ProMaterials or A&D materials, and they act as the material would in real life (tile being reflective, gyp being non-reflective, etc). One of the most important materials is the glass, because it will determine how and how much light will enter the space. The way the glass is modeled is important as well. Be sure your glass has a thickness. Usually the A&D material or ProMaterial Glazing will attenuate light properly for each polygon that is traversed, without refracting it. Thirdly, the lighting must be accurate and represent true-life physical amounts. Creating a Daylight system is the best way to achieve physical properties for your sun, just don't mess with the multiplier amounts. If you also want to include light fixtures the best type of light for this are photometric lights. Typically only FG should be used, and can be used in conjunction with the light portals. For accurate fc or lux amounts it is important to increase the number of FG bounces. 4-8 bounces is acceptable. 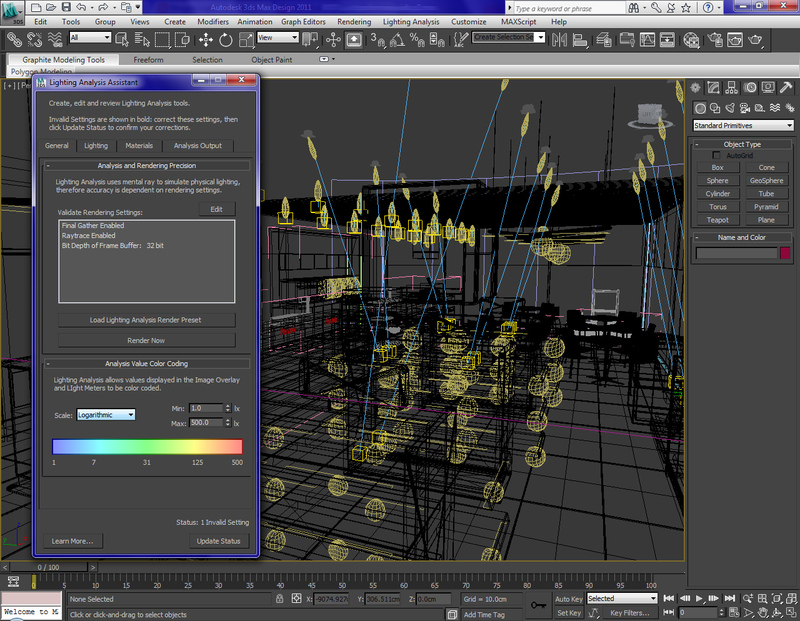 Once you have your scene set up, in the menu under"Lighting Analysis" use the "Lighting Analysis Assistant." Basically this box checks your scene to make sure that you don't have any un-natural materials or lights. If you do, it will tell you how many materials and lights need to be tweaked. The "Analysis Output" tab is where you can create a light meter. The Light Meter is just a plane that record light data in the scene and spits out numbers of light intensities (measured in foot candles fc or lux). In the US everyting is measured in foot candles, so I use fc. The modifier settings for the light meter controls the amount of segments, orientation arrows, type of illuminance, and it can export the numbers to an excel csv file. For the lighting analysis, you will only get figures for where the planes are. So if you need all four walls of room, you will need 4 light meters, one for each wall. 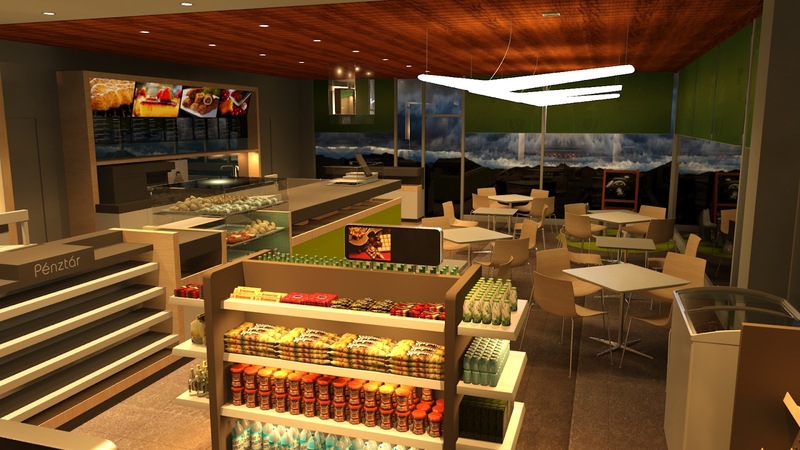 Note: the lighting analysis is no gauge on how the scene will render. Much like a camera, you can make a very dark room appear light with the right exposure settings. The exposure settings also don't have any effect on the lighting analysis since these numbers are fixed amounts of energy. Autodesk 3ds Max Design software helps architects, designers, engineers, and visualization specialists conceive and create everything from digital concept models for envisioning and clarifying creative ideas to compelling cinema-quality presentations that validate and communicate final designs. The software offers further benefits via digital continuity and consistency with the AutoCAD, Autodesk Revit, and Autodesk Inventor families of software products. Simulate the lighting in your designs with confidence: Exposure™ lighting analysis technology has been validated by the National Research Council Canada (NRC), Canada’s leading organisation for scientific research and development, and the same organisation that has conducted validation studies on Radiance for lighting simulation. A feature unique to 3ds Max Design, Exposure enables you to achieve more sustainable designs by analysing how sun, sky and artificial lighting interact with your design and exploring direct lighting effects in the viewport. Please feel free to comment on the post! verification and validation (V&V) is the process of checking that a software system meets specifications and that it fulfills its intended purpose. It may also be referred to as software quality control. great post, thanks, but i`m looking for new pluigins, and i heard that https://3d-kstudio.com/ is good, whats your opinion?is it worth trying?